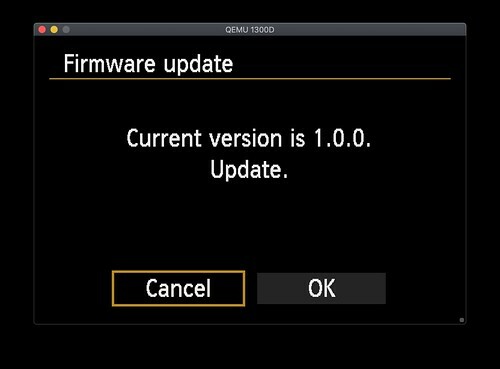 Just received a firmware dump from this model. Wait a moment! They called it Rebel T100? Really? You can give me the files ROM0 and ROM1? I sent it to you in PM. Is there a 4000D branch? 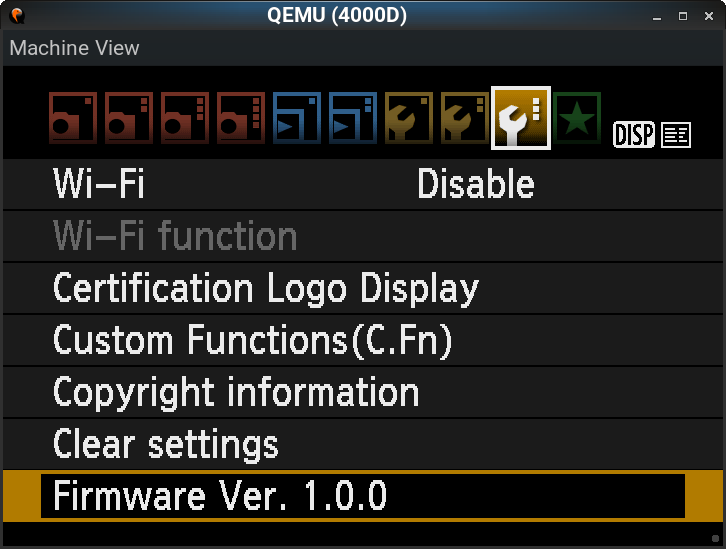 Hello, I just got a 4000D ... can someone share the ROMs ? "-Illegal content publishing and linking is prohibited. 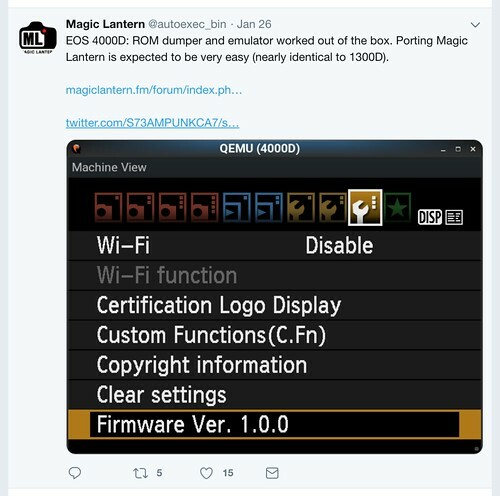 Under no circumstances may you post copyrighted material to which you do not own the right, especially proprietary Canon firmware code." ROM files are considered to fall into this category. Why not just running the dumper as the people did you are asking? Point taken ... thanks for the notice.